It’s no secret: the dynamics of publishing are changing. As people continue to shift to a digital-first lifestyle – everything from an increased use of social media to downloading e-books for the Kindle Fire – authors, publishers and retailers have been forced to adapt. Miller, like most (surviving) publishers and authors, has embraced many technological trends with open arms. Like it or not, he and others like him can’t afford to ignore them. Miller’s work has straddled the digital upheaval of the publishing world. 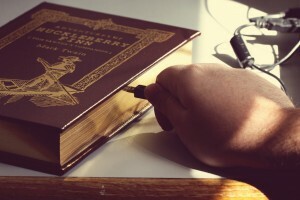 He’s published traditionally, online and self-published numerous titles. For him, constantly rethinking how he uses social media is just part of the job. For many authors, though, the big questions are where to start, how to gain exposure and what practices work best for publishing and promoting online, especially with limited time and resources. Today, many authors are pushed to develop their own public profile and following. They’re told to start a Facebook page, tweet constantly and blog often. 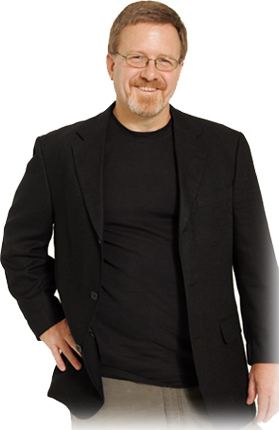 Author, publisher and small-business owner Steve Miller. That may be good advice, but Miller says it has the potential to be counterproductive for authors and small businesses. It’s hard to convince people of the value of your book(s) without sounding spammy. Legacy Educational Resources, Miller’s not for profit start-up focusing on life skills resources, has thrived in this digital environment. Titles published by the small firm in Acworth, Ga. are used in all 50 states and more than 30 countries around the globe. The success has come with a bit of a learning curve, he’ll admit, but fortunately he’s eager to share his breadth of publishing knowledge to keep you from experiencing the same pitfalls. Join Steve Miller as he dissects the beast of online publishing, social media and how everything fits together through the examination of real-world case studies and life experiences at SoCon12. Miller’s session “Why Time Consuming Blogging, Twitter and Facebook Strategies May NOT Work for Your Business” will offer an in-depth look at lesser-known alternatives to your run-of-the-mill social media strategy. Don’t miss a chance to learn from Miller’s experience along with a stellar list of other award-winning speakers. Now in its sixth year, the SoCon series is one of the largest and longest-running social media conferences in the Southeast. 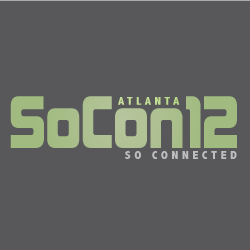 SoCon12, February 4, 2012, is on track to be the largest, most influential gathering of technology professionals to date. Learn and network with professionals across the digital industry, from journalism and publishing to public relations and programming. Sign up before December 15, 2011 and secure your pass for both days of the conference at the discounted rate of just $99. Join SoCon12 attendees and industry professionals for a night of great networking and good spirits. 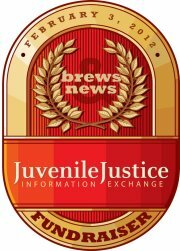 The first ever “Brews and News” event is a joint SoCon12 mixer and the first ever fundraiser for the JJIE.org, our niche journalism project covering the oft overlooked topic of juvenile justice. Sip house ale, bid in the silent auction and grow your social network by leaps and bounds.